TURIN, Italy -- Fiat is not commenting on German media reports that it wants a controlling stake in General Motors' Opel/Vauxhall unit but one thing is clear: the Italian automaker will not be giving GM any cash. Just like he did with Chrysler, Fiat CEO Sergio Marchionne will be looking for an alliance that relies on sharing technological and industrial assets. "I want to be absolutely clear: we will not spend a single dollar, neither today, nor in the future," Marchionne told the Italian newspaper Il Corriere della Sera on April 23, referring to Fiat's proposed alliance with Chrysler. "Would we like to call this a barter? Well, yes, it is a barter," Marchionne said. Chrysler is still top of the list of companies Marchionne is bartering with: Fiat will give Chrysler technology in exchange for an initial 20 percent stake that could grow to 35 percent. GM's Opel/Vauxhall division is a second option that does not exclude the first option going ahead. 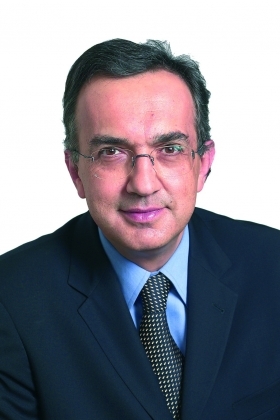 Marchionne plans to merge Fiat Group Automobiles with Opel/Vauxhall and GM's Latin American operations, three people familiar to the matter told Automotive News Europe. Combining Fiat with Chrysler and GM's Latin American and Opel/Vauxhall operations would create a 6.65-million unit giant, which would be the world's No. 2 automaker ranked by units sold on last year's numbers. It would give Marchionne the economies of scale that he craves. "You need at least 5.5 million to 6 million cars (a year) based on shared vehicle architectures to have a chance of making money. Fiat is not even halfway there. So we need to aggregate," Marchionne told Automotive News Europe in November. To reach the magic number, Marchionne needs a three-way alliance comprising Fiat, Chrysler and parts of GM. Last year, Fiat and Chrysler built about 4.2 million vehicles while Fiat and GM's Latin American and Opel units built about 4.5 million units. Fiat, Chrysler and GM's Latin American and Opel operations would form an alliance that would have adequate scale to finance platforms for mass-market cars. Marchionne yesterday reminded financial analysts that "to be profitable in the coming years, you need to be making 1 million units based on the same shared vehicle architecture."  Chrysler lenders are still far from reaching a compromise to satisfy the U.S. Treasury with just 6 days remaining before a government-imposed April 30 deadline.  Opel's union leaders are loudly opposing a Fiat-Opel alliance. They fear that the most of the expected job cuts will happen in Germany.  Italian unions fear the opposite -- that plant closures will happen in Italy. Last but not least, who would invest in a conglomerate of three cash-strapped automakers? Governments would, Marchionne told analysts. "I think that what we are seeing out of the U.S. is a clear recognition that there are particular points in time in economic cycles where the government has to step in to try and act as bridge. And as long as they are seen as a financial bridge, I think a lot of things could happen," he said. Marchionne sees governments helping automakers to transition from point X to point Y, but not as medium- or long-term shareholders in carmakers. "It is my sincere hope that, in the midst of all this, we find a collection of wise men out there who will understand the project and support it to completion," he said. Time will shortly tell if Marchionne's grand plan becomes a reality. "The market conditions are there and Fiat is willing to be a player," he told analysts.